“Blowing smoke” has never been an expression that’s been taken positively. Maybe because it either means that the person is bluffing or smoking. Regardless, it signifies the intimate relationship we have with things we are not supposed to do. It’s fascinating how we have a sudden urge to do things we’re specifically told not to do. That is why we pick up a cigarette out of curiosity and get to the point of having a hard time dropping it. We try patches and gums with no light at the end of the tunnel, and relapse to blowing smoke again. However, what if that smoke was not smoke, but vapors, and helped with this addiction? 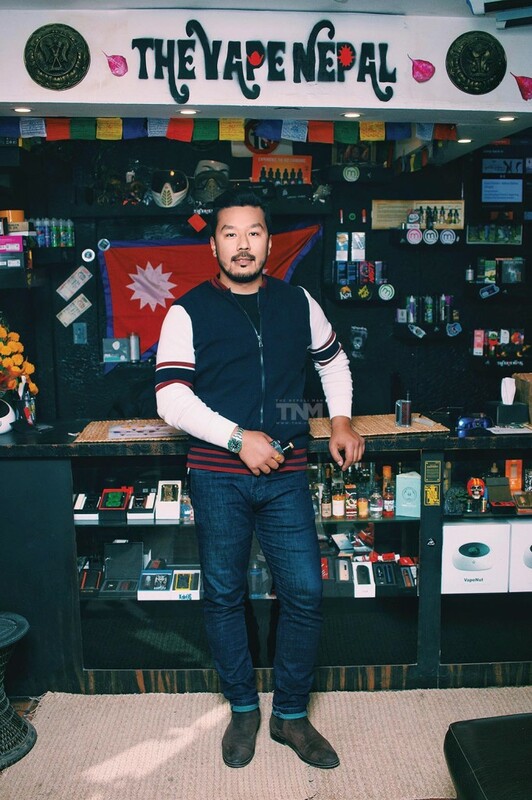 To shed more light on this, we caught up with Mr. Sagar Shrestha of Guff and Puff, and The Vape Nepal. HOW DID YOU START GUFF AND PUFF AND THE VAPE NEPAL? It was some 3 years ago when I used to be a heavy chain smoker; I’d go through 3 packs a day. And soon, while I was driving, the air around me suddenly started to get thick and I was experiencing an attack of some sort. With my crawling conscious mind, I rushed myself to OM Hospital to get checked-up. After a barrage of tests and scans, the doctors told me that either I should not come in at all, or that I have to quit smoking. I went with the latter option of course, but it was hard for me. I tried everything from nicotine patches to gums, and eventually E-Cigs. E-Cigs for me made my lungs uncomfortable arid and hence I succumbed back to chain smoking. It was really miserable for me; not wanting to, yet the crave of the body was an uphill battle. Amidst all this misery, I saw a post from a friend of mine. It was a box-looking kind of thing and it was just interesting to me. When I asked him, he told me that it was a Vape, that it helps to kick smoking, and that it was 90% safer than fagging. I made the jump right away. After I got my kit from him I have not touched a cigarette. 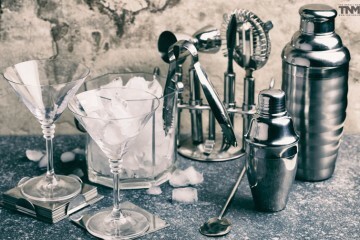 But soon, I realized that just having a kit didn’t mean that I was in the safe zone; I still had to get the juices, the liquid that goes into the kits. So I would get my friends who were out of the country to either bring it along with them or ship it to me. Maybe that was bit excessive of me as they would know what was coming whenever I said “hi” to them. And eventually they cut off contact with me. So, I had to get the juices myself, for which I got a friend over at Malaysia to do so, but this time, I ordered 60 units at a time. And when I did show it off online, my friends inquired for it, and showed interest to get one for themselves. Eventually, there was a demand for the juices and the kits among those in my circle and I sought to supply it. People who were heavy smokers and wanted to get off really loved it. The thing is that I’ve also been running an organization called First Step Treatment and Rehabilitation Center and Vaping has helped many to come off their addiction. When they get out, they recommend it to their friends and peers and they seek me for it. That’s how I got the idea of establishing Guff and Puff, and eventually The Vape Nepal; to supply the increasing demand of people looking for a quality Vape. HOW DO YOU SEE THE CULTURE OF VAPING IN NEPAL? When all of this was new, it was frowned upon. Since a lot of vapor comes out of it, many think that it’s smoke so they have a negative view about it. I would Vape in my car and often be pulled over by the cops and be questioned whether I was smoking something illegal. It was actually harder to Vape in public rather than to smoke; I would have to sneak into the washroom whenever I was at a restaurant to do it. But since more and more people are doing it, people are starting to get that it is harmless. SPEAKING OF HARMLESS, HOW DIFFERENT IS VAPE FROM A CIGARETTE AND A HOOKA? The thing about cigarettes and hookas is that these are obviously harmful as their source of delivery is fire. When there is fire, there is the emission of Carbon Monoxide and other harmful chemicals that go under the radar, which gets in the lungs and kills you eventually. Vape on the other hand runs on battery, so there is neither Tar nor Carbon Monoxide. It’s just vapor. Furthermore, in a study done in the UK three years ago, they said that Vaping is 90% safer, and in 2017, they said that it was 97%. You are only getting the Nicotine from it and this chemical compound is not harmful in any way, it’s the stuff that comes with it when you smoke that is dangerous. AND WHERE DOES IT STAND AMONG OTHER ALTERNATIVES LIKE NICOTINE PATCHES AND GUMS? Why people prefer Vape is because it emulates the feeling of smoking. The vapor gives the same satisfaction as smoking a cigarette, something patches and gums can’t provide. WHAT ABOUT THE NEWS OF VAPES EXPOLING ON THE USER’S FACE? The battery is mostly blamed for things like these; but it’s not really valid as many other electronics operate on a battery. And often, such incidents come along with a term called Mods. By definition, Mods are modifications done to the device. Now, when such Mods are done in an amateur manner, accidents do happen. Like many disasters, this is too due to a lack of knowledge. However, such things don’t happen as often as many claim it to be. The thing is that Vapes in foreign places are cheaper than cigarettes. Hence, these news are spread by tobacco companies to discourage people from Vaping and come back to smoking. Fear is a business. “FEAR IS A BUSINESS.” WELL SAID! Thanks! But with that being said, in no way am I discouraging Moding. If you really want to go that way, proper knowledge is a must, or simply, you can go to a store for a consultation. We have experts with us who are more than capable, and happy, to do it for you. WOULD YOU SAY THAT THERE’S SOME ETHICS OF VAPING? Certainly! No one is going to positively see someone who’s puffing out a huge cloud of smoke. So when you’re out, have your voltage as low as possible. The kind of fog you breathe out during winter mornings is what you want. That way, you’re getting your fix without having to bear the weird looks from people around you. YOU HAVE A PRETTY GOOD ONLINE PRESENSE. DO CUSTOMERS COME TO YOU FROM THERE? It hasn’t been long since we’ve been in the online game; a little over 9 months. But yes, many do find us through it, and many are friends and friends of friends. AND HOW DO YOU SET YOURSELF APART FROM THE COMPETITION? The thing is that I never focus on what others are doing or where they are. I’ve been doing what I do in my own way, and it’s been going pretty good for me.